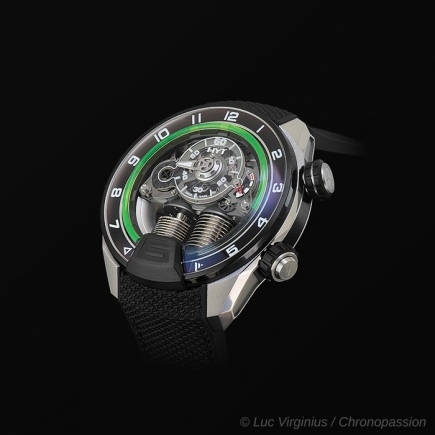 HYT | 90'000 € Tax inc.
SKULL Let time look you straight in the eyes ! 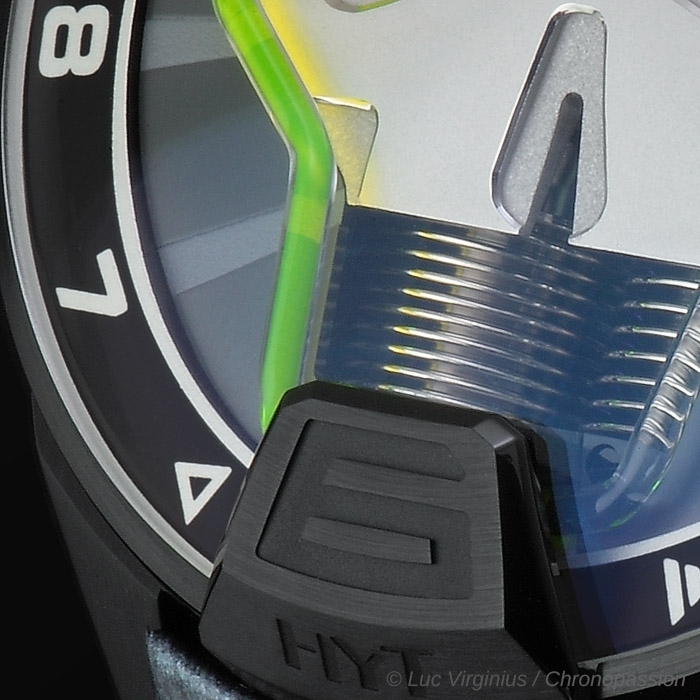 Vincent Perriard, HYT CEO, gets straight to the point – The Skull, HYT’s new extraordinary and unprecedented creation, breaks all the rules. You don’t need to be an expert to appreciate the power of its design. 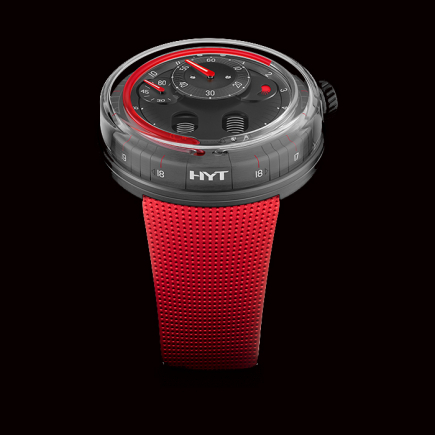 Even at first glance the Skull makes a striking impression, simply because it epitomises and at the same time breaks away from everything that HYT represents. It is provocative, unique and has a bold design supported by the fluid mechanics that have become the brand’s signature style. The Skull speaks for itself. Its development, however, was anything but obvious. 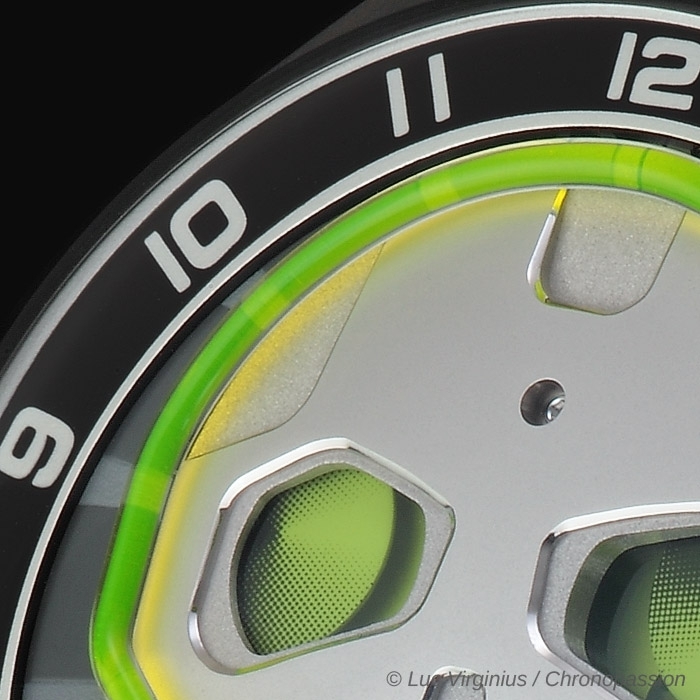 "Their vertical structure, developed for the H1 watch, served as our starting point. However, we then had to re-examine how to generate enough power to move through these sharp angles, whilst ensuring that the fluid always indicates the correct time, moving at the right speed and with perfect regularity over twelve hours”. 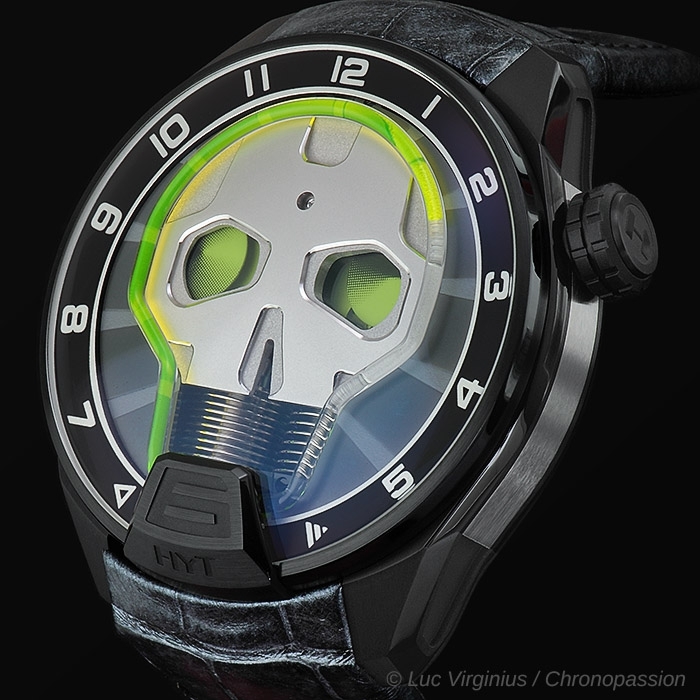 In line with the raw, primitive imagery of the skull, HYT also decided to do away with the minutes. This bold choice has two consequences. Firstly, it shifts the main focus to the capillary, the only sensory indicator of time as it passes, and secondly it centres all the attention on the piece’s architectural design, with its assertive, confident skull, which occupies almost the entire surface of the dial. 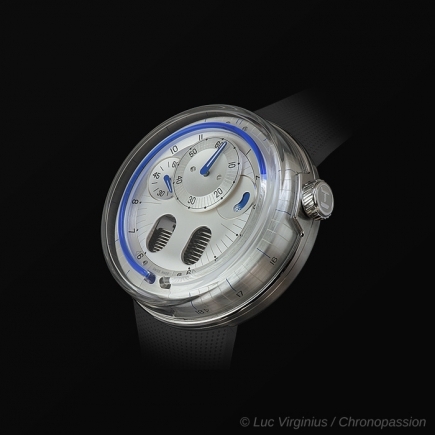 Similarly, in stark contrast to its other pieces, HYT chose to almost completely hide the movement on the dial side. In addition, the eyes of the Skull have a life of their own. 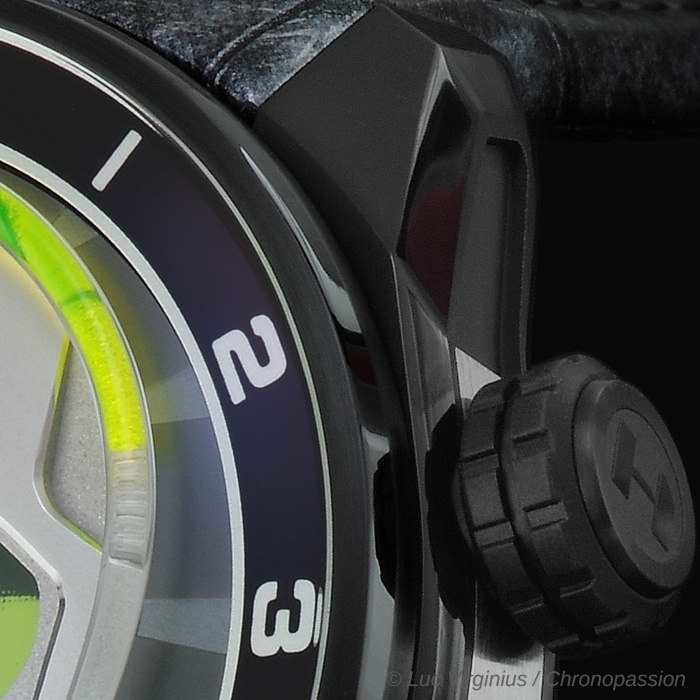 The right eye indicates the power reserve of the watch. Using a series of subtly different translucent coloured inserts, the eye gradually darkens as the piece nears the end of its 65 hours of power. The left eye hides a barely visible seconds dial which rotates continuously. You only have to look the Skull in the eyes to observe its spirit and the life, in the most literal sense, flowing at its heart. In both cases, a subtle honeycomb pattern provides the background and adds depth to the eyes. The skull itself is not inert - its movement operates constantly. It is alive, in the truest sense of the word: it has a soul. 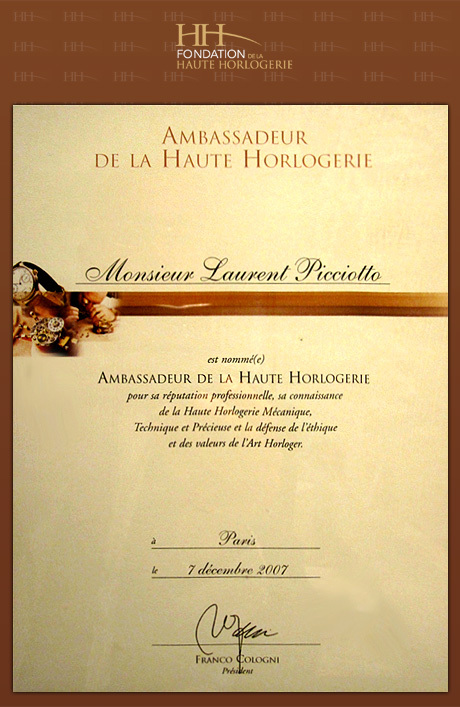 This is the first watch creation in which, instead of observing the time, time watches you. “We always want to see how far we can go in terms of design and engineering. 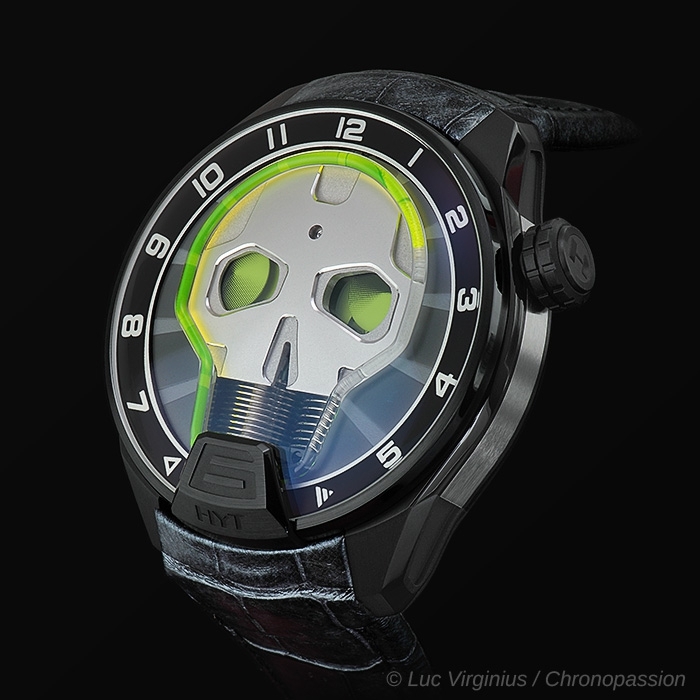 Our objective was to create a Skull that completely breaks away from everything you normally see, while still embodying the very DNA of HYT – a bold, conceptual, technical, and original design”, Vincent Perriard explains. The changes don’t stop at the movement, however. 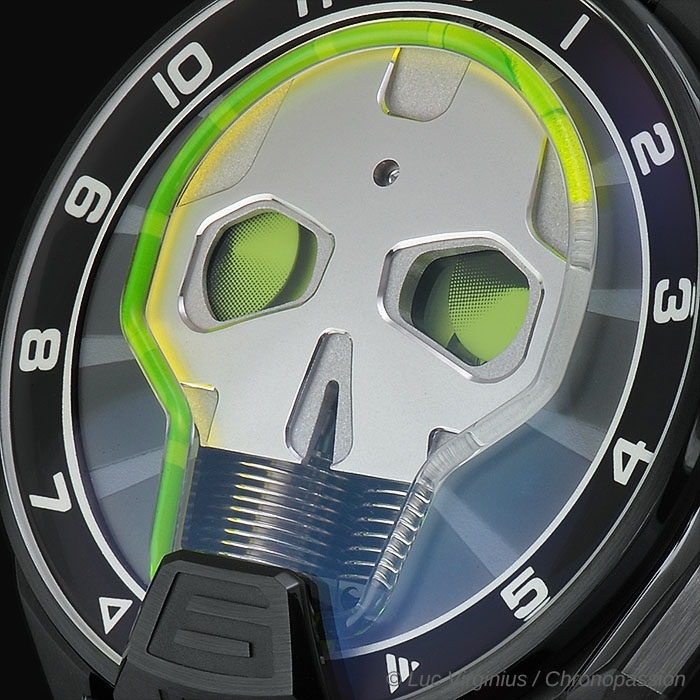 A new 51 mm case has been specially created for the Skull, with the addition of new, crisp angled lugs. 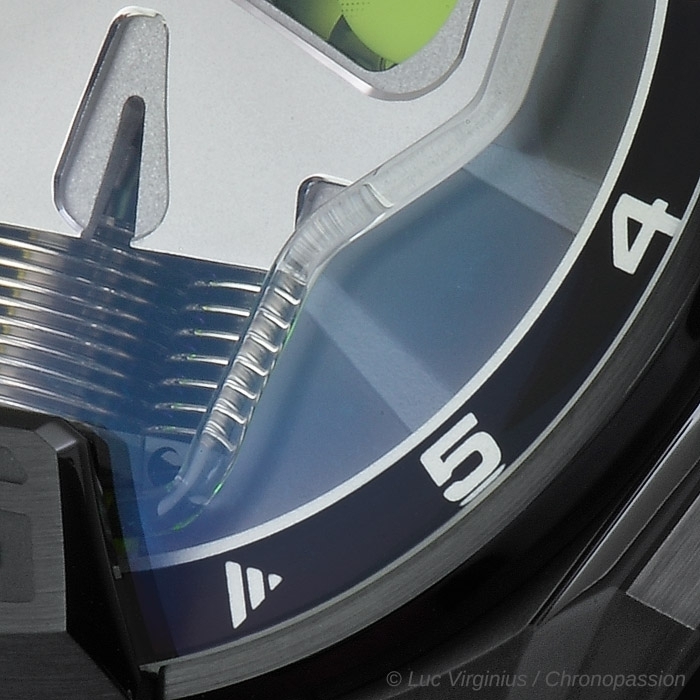 The single assembly push-button of the crown, which adjusts the time, is located between 2 o'clock and 3 o'clock. The crown protector has been removed. Lateral inserts have also been added to the case, allowing multiple future combinations. 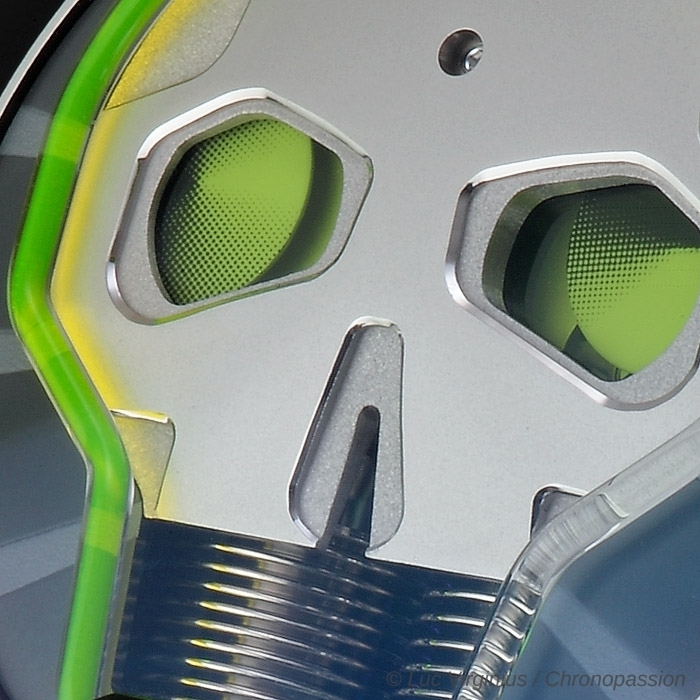 The Skull is offered in two, very limited versions. One of fifty pieces, produced in DLC titanium with green fluid, and another of twenty-five pieces in 5N rose gold and black DLC titanium, featuring red fluid.